The Nokia Lumia 710 Windows Phone has a 5MP Autofocus camera with HD video, 1.4 GHz processor, 8 GB internal memory, and an amazing 3.7″ 800 x 480 pixel touchscreen with ClearBlack technology. WIND Mobile currently lists the Lumia 710 in stock. 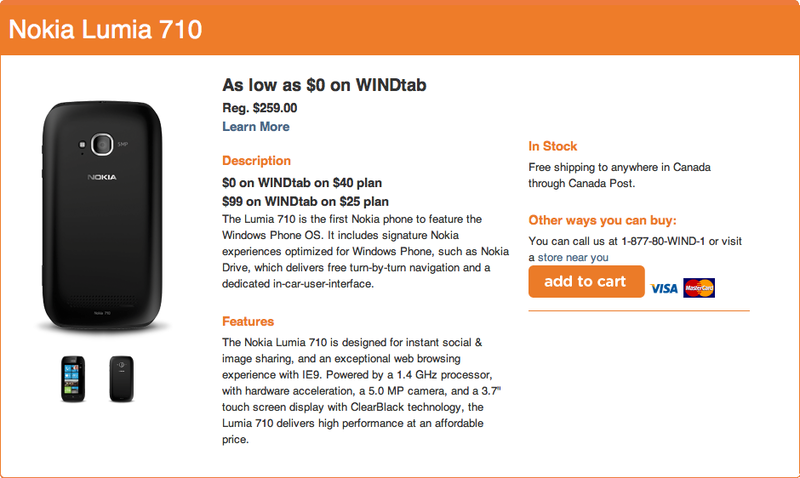 If you are ready to get your hands on the Lumia 710 through WIND Mobile in Canada, visit the product page for more information and purchase.